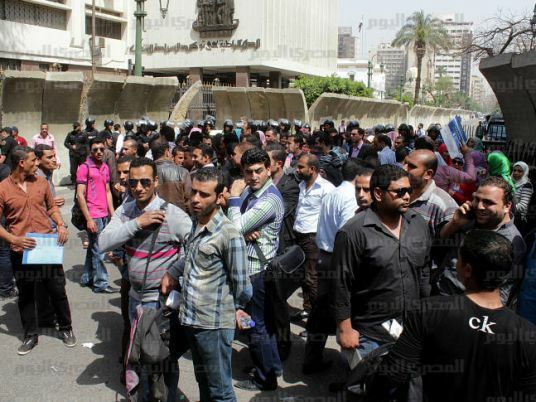 Hundreds of masters degree holders protested outside the Egyptian Cabinet on Thursday, demanding government jobs, such as what their peers received over the past few years. "Where is the prime minister?”, “Unemployed!”, chanted the protesters. Tight security surround the protest. No violence was reported. Egypt’s Central Agency For Public Mobilization and Statistics said in a report last month that the country’s unemployment rate decreased slightly to 12.7 percent in the second quarter of 2015, from 12.8 percent in the first quarter, and is below the 13.3 percent recorded for the same period last year.